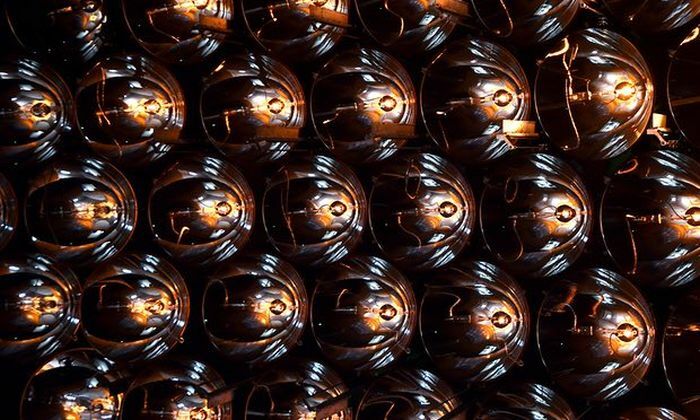 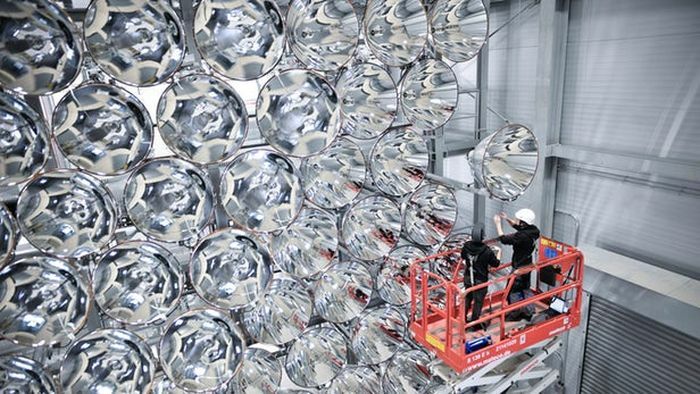 The Synlight experiment in Jülich consists of 149 film projector spotlights. 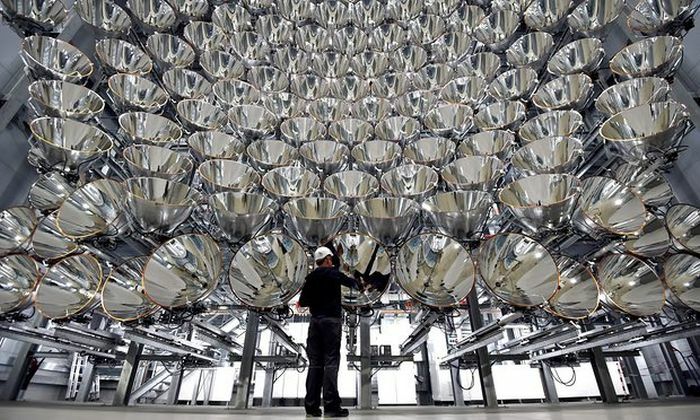 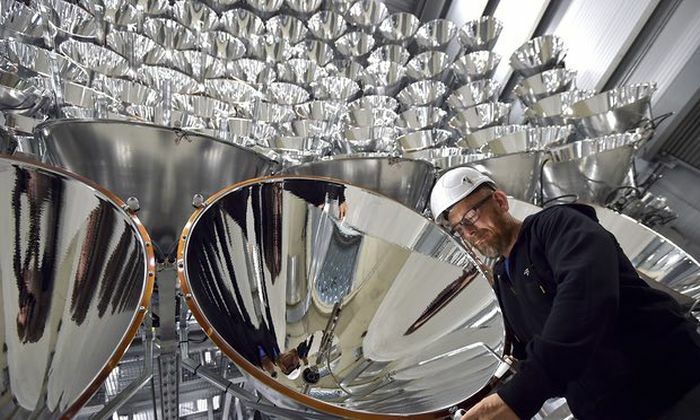 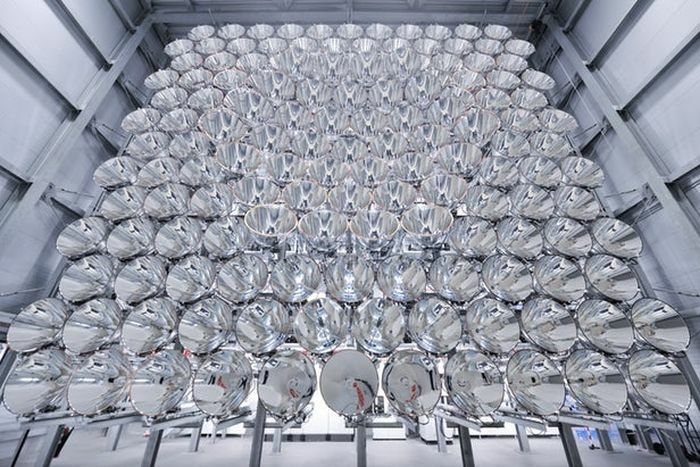 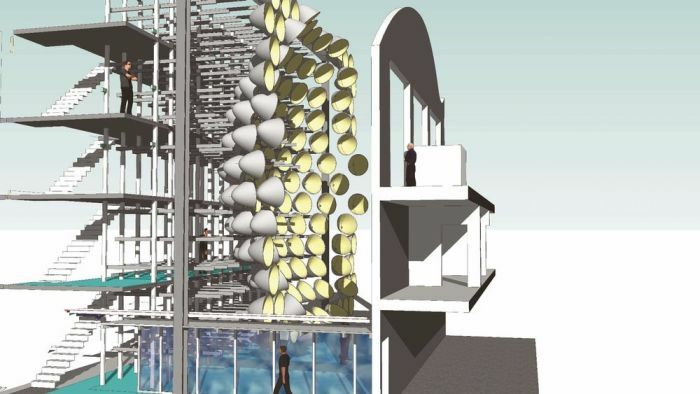 It's capable of producing light about 10,000 times the intensity of natural sunlight, and it was recently switched on. 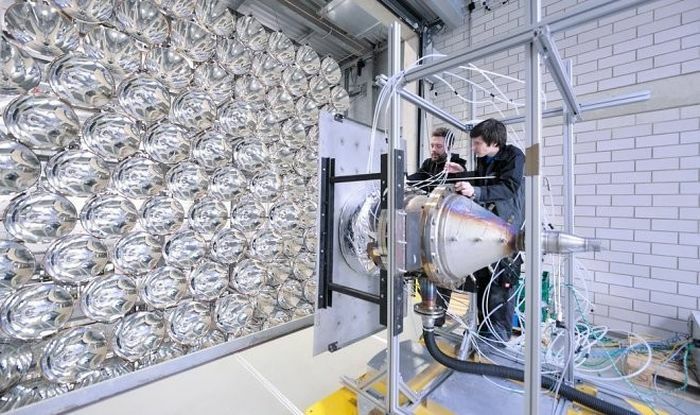 Since there is no context, this is used for experiments into clean energy.